If you've got a digital camera, like to take photos, but haven't been coming up with the results you'd hoped for, I can help you. You're by no means alone in your frustration at not getting the same kind of bright, exciting images you see in magazines or on the walls of galleries, or in newspapers or displays in shops. OK, you don't really expect to get images as good as those produced by highly-paid professional photographers with heavy duty equipment, but you think you should be able to get better results than you have been getting. Well, the good news is that none of these statements is true. Of course, a more sophisticated camera does offer you greater flexibility and control, but the reason pro cameras cost so much is that they're designed to be tougher (they have to stand up to working day-in day-out with absolute reliability, taking many thousands of exposures in often rough conditions) and to produce images of a greater size and quality than 99.9% of amateur photographers would ever need. The truth is (although many pros wouldn't like to admit it) that for the vast majority of purposes professional photographs are used for today, a so-called "amateur" camera, even a compact, could produce a perfectly useable image (the main drawback would be its inability to use professional flash lighting). A Photography degree looks good on your business card, but do you have the time? As far as the college photographic course is concerned, many offer great value and produce excellent photographers, but let's face it, we're not talking about that kind of commitment of time and money here. What's more, many of the most famous and respected photographers never took any kind of academic course, but rather learnt by experience or by being apprenticed to a more experienced professional. And lastly, although I would dearly like to pretend that I was a member of a secretive professional brother(and sister)hood possessing magical inside information that could turn anyone, Harry Potter-like, from an inept snapper into an expert pro photographer, I have to admit that after a couple of decades or more as a pro shooter I haven't come across any such Da Vinci Code-like revelations (although there are plenty of freely available tips, hints and advice everywhere). But you can take better digital photos today, and even better ones tomorrow. Although I've been a working professional photographer for many years, I believe in keeping things simple. Many so-called "experts" place far too much emphasis on unnecessary technical details, building artificial barriers to discourage less knowledgeable photographers from getting the photos they're capable of producing. For most people, modern cameras have been a godsend in freeing them from complicated exposure calculations, lighting with flash, even focussing. But mere technical knowledge and skill in manipulating your camera's controls has never been enough to make a good photo. It's knowing what to put in the photo, and how to put it in the photo that distinguishes the good from the ordinary. What the camera won’t do is to tell you what to put in your picture, how to frame it, how it should be lit, or how to arrange the elements in your photo so that it looks good. Yet these questions are the most important ones to answer if your image is to be a success. When we’re disappointed with our photos, 90% of the time it’s because we’ve gone astray in one or more of these areas. 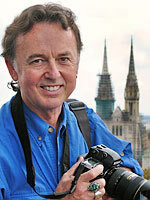 clear explanation and advice on digital camera features and settings, accessories, printing. anyone can put the ideas into practice and start taking better photos right away. ...not your camera - can decide what to put in your picture, how to frame it, how it should be lit, and how to arrange the elements in your photo so that it looks good. The good news is, you can get the powerful creative tools for doing this, put them into practice and see the difference immediately! What's more, you'll keep improving as these techniques become second nature to you. You will develop your own creative eye so that you'll "see" the potential images around you more clearly and visually interpret situations in new ways. 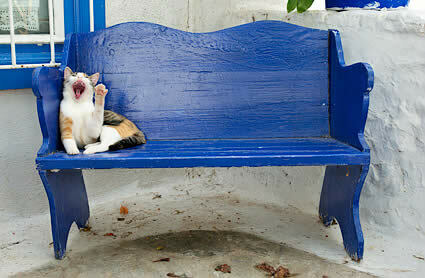 And take stunning, imaginative photos! Check out some of the features covered in the "Take Better Digital Photos" ebook (it's more like a course). Emotion: You can produce a shot that’s brilliant technically, but without emotion it can never be great. Rule of Thirds: It’s been used by artists for centuries so it has a good track record! Creative Angles: Show your viewers the subject in a way they’ve never previously seen it. All it needs is a little imagination! Shooting with your camera - Scene modes (22 different examples), sharpness adjustment, contrast (tone) adjustment, colour (saturation) adjustment, custom adjustment, white balance, colour FX, face recognition mode, mountain (infinity) mode, manual focus, LCD focus check, single shot mode, continuous AF mode, image stabiliser, IS panning mode, zoom (optical and digital), ISO settings (includes using ISO to control shutter and aperture), metering modes (spot, centre-weighted, matrix), exposure compensation, flash output compensation, red-eye reduction, fill-in flash, flash synchronisation, self-timer, noise reduction, movies, sound comments. So to sum it all up, inside "Take Better Digital Photos" you get a photographic toolbox of creative tools and techniques which you can put to work immediately to improve your digital images. Hesitant about learning about this from a manual? Don't be. Every tool and technique is illustrated with fully-captioned example photos to show you how to use it. Added to that you get a technical run-down in easy-to-understand, straightforward language of the various features, settings and options on your camera and advice as to their use (and when not to use them! ), together with extra info on accessories, filters and other useful stuff. In my view the first section is the most important part of the book because mastering these creative tools and techniques will give you a solid foundation on which to improve your technical skills as you progress; without them you'll just end up, at best, in a "technically-expert, boring photographer" dead-end, and at worse you'll get so disappointed with your shots you'll give up in disgust. And that would be a dreadful waste, because every one of us has creative talent within us, our own special way of looking at the world that no-one else posesses, and we owe it to ourselves and others to express it. 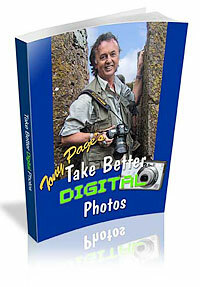 Think of the "Take Better Digital Photos" ebook as your photographic toolbox. It arms you with a range of powerful creative tools you can use to design your images before you press the shutter, building your creative vision so that you see situations in new ways and capture your subjects in stunning, imaginative photographs. You'll notice the difference in your pictures the moment you start to use these creative tools, and as you become more familiar with them their use will become automatic. It's like driving a car, after a while you don't think about moving the steering wheel, you just decide where you want to go! Seeing is believing, though. I've selected over 130 different full colour photographs taken on my assignments all over the world to show you how these tools work in practice, but bear in mind they work just as well when you're shooting in your garden, house, local park or anywhere else. "You talk the talk, you gotta walk the walk." 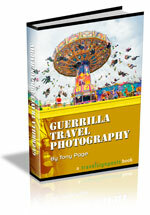 Some ebooks on digital photography simply collate information and use borrowed photos. The info may be good (although not always), but there's no substitute for first-hand professional photographic experience. I think if you're spending money on learning stuff from me, you deserve proof I know what I'm talking about. That's why I use my own (and my wife Helen's) photos to illustrate the ways you can immediately improve your own shooting technique, and set free your creative imagination. Although I believe learning lots of technicalities and theoretical information is overemphasised, you obviously have to know some basic stuff about your camera, the way it works, how to set it up, take care of it and make sure it doesn't let you down. So I've included all that, plus my take on useful accessories you might need like filters, polarizers, bags, tripods, memory cards and the like in my "Technical Stuff" section. Lots of photos illustrating the technical details, too. I've paid particular attention to compact camera users in this section, as many of you will be using these (as I do), but it also applies to SLRs (I actually use my D200 menus to illustrate various settings choices). I am so confident that you'll be totally delighted and appreciative of the value offered by the “Take Better Digital Photos" ebook I am willing to offer you an unconditional 100% money-back guarantee. Just place your order for my ebook, read it and use the creative tools and techniques you discover within it for at least a month. If you follow the steps I suggest I'm sure you'll find your photos improve amazingly. If for any reason you don't see a huge improvement in your shots and you're not completely satisfied with your purchase, simply notify me within 60 days and I will refund you every last cent, with absolutely no questions asked! That’s over 8 WEEKS to check out my ebook and put my recommendations to the test! I don’t think I can be any fairer than that. 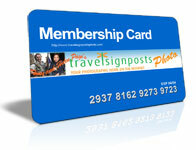 Either you start taking better digital photos or get your entire purchase price back. 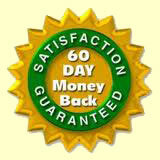 No questions or quibbles, just a straight refund. You really do have nothing to lose – and a whole new photographic future to gain! 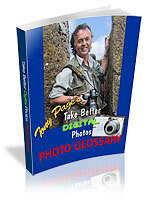 Plus, if you order my “Take Better Digital Photos” ebook now, you can take advantage of my immediate download feature to begin reading and start improving your photos using the book's expert advice and comprehensive information in just minutes! This professionally designed, content-packed 135 page manual (big A4 size pages) is really more like a course than an ebook. It provides you with a personal photographic toolbox of creative tools and techniques that you can start using right away. When you order "Taking Better Digital Photos" you're not just buying a book, you're gaining knowledge and insights that will drive your photographic growth for the rest of your life. Because although you can quite quickly master these essential creative tools at a basic level (and radically improve your photos), you'll find that as you mature as a photographer you use them in ever more sophisticated ways - in fact, you can never outgrow them, they'll never lose their relevancy and power! Think about how much you've spent on your digital camera, and how much you're likely to spend buying new ones in the future. Think about how much money you spend on holidays. When you get home all you have is memories - and your photographs. Think about all those happy times - kids' birthday parties, weddings, anniversaries, sports occasions - wouldn't you like to really do them justice in your photos? I'm confident my ebook will help you on your photographic journey and give you the creative tools to improve your photos (that's why I gave you the guarantee above). You can download the "Take Better Digital Photos" ebook right now and be reading it in minutes for only $47. I think that's a fair price, although there are some who tell me that given my qualifications and the work I put into it I'm a mug for not asking more. I can see their point, but this is my first online product and I reckon if I give great value for this one, then people will be more likely to buy other things I produce. The "Take Better Digital Photos" ebook is supplied in Adobe PDF format and needs the free Adobe Acrobat Reader to view it. You've probably already got that on your computer, but if you haven't click here to download it for free from Adobe (instructions also provided on the download page). Gifts Valued At Over $144.00! 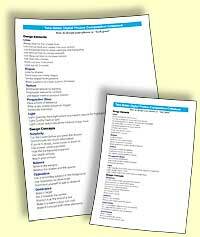 TBDP Cribsheet: This is basically a compressed reference sheet (2 sizes) that you can print out and take along with you that acts as a quick reminder of the various creative tools and techniques I recommend in "Take Better Digital Photos". When you're starting out it can be very useful. Super Photo Glossary: Yeah, we all hate jargon, but there are some things you just have to know if you're going to pick your way through the minefield of photo articles, manuals and forum posts on the Net (not in 'Take Better Digital Photos", I hope!). Here's my contribution to enlightenment, a pretty exhaustive (36 pp) list to refer to if you ever wonder about a particular word or phrase. Took a bit of time to put together, too. It’s Time That You Got the Advice & Information You Need to Take Better Digital Photos Today! Don't let your creative vision be frustrated by not having the tools to turn your ideas into the stunning, imaginative images you know you can take! Use the ideas and techniques I lay out for you in this ebook to sharpen your creative eye and give you a whole new way of looking at the world - and capturing it! Yes, Tony, I want to get get Instant Access to the Complete "Take Better Digital Photos" Ebook as well as all the Free Bonuses! P.S. If you don't claim a copy of my "Take Better Digital Photos " ebook when will you start to learn the skills you need to really give your photos the "Wow!" factor? How can you expect to improve without a plan or at least a definite direction? Also remember, that you are making this purchase at absolutely no risk. So grab this low price while you can! 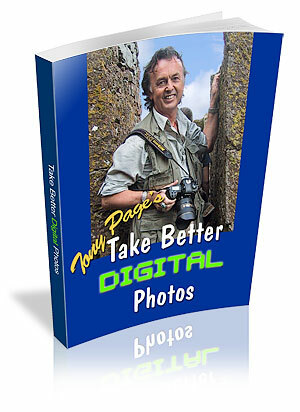 If the “Take Better Digital Photos” ebook isn’t everything you were expecting, simply notify me within 56 days and I will refund your money immediately. It gives you all the key advice and information on improving your digital photos in one easy-to-use resource. Why spend hours and hours tracking down information that may or may not be reliable when you can learn what you need to know to radically change your shooting style for the better – and I do mean radically – in one convenient, inexpensive manual? Please take your time and read this page over. $47 plus all the bonuses is a pretty good deal. Please do yourself a favour and don't procrastinate. If you want to succeed you need to take action!